Breakfast in America is the sixth album by the band Supertramp, released in 1979. It was recorded the previous year at the Village Recorder in Los Angeles. It featured three U.S. Billboard hit singles: "The Logical Song" (#6), "Goodbye Stranger" (#15), and "Take the Long Way Home" (#10). In the UK, "The Logical Song" and the title track were both top 10 hits, the only two the group had in their native country. 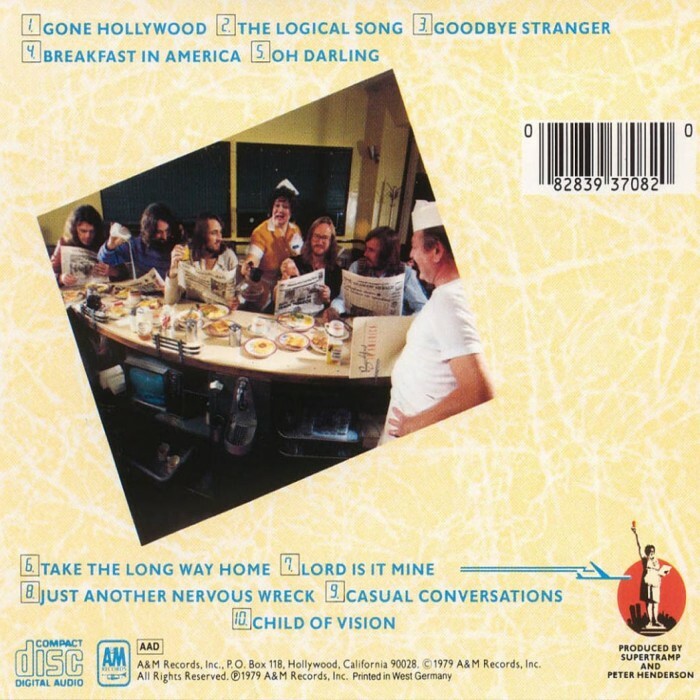 Breakfast in America won two Grammy Awards in 1980. In France, the album is the biggest selling English language album of all time, and the third biggest seller overall. Breakfast in America is a textbook-perfect album of post-Beatles, keyboard-centered English art rock that strikes the shrewdest possible balance between quasi-symphonic classicism and rock & roll. 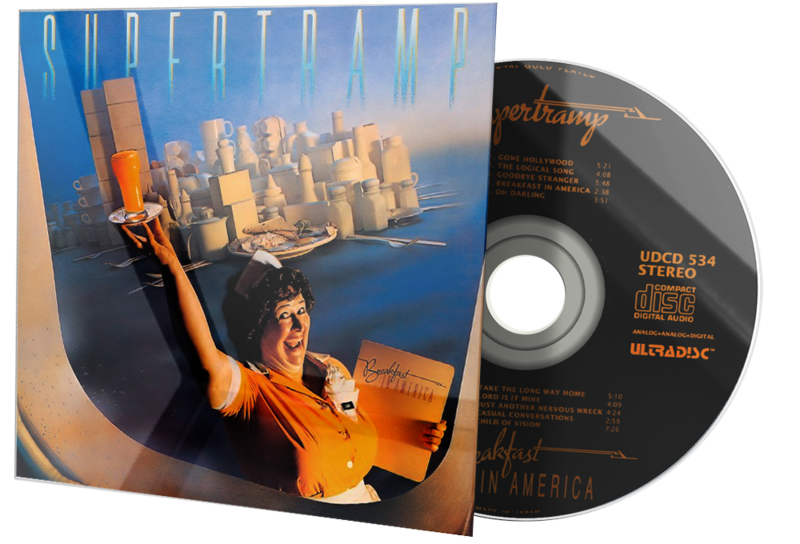 Whereas Supertramp’s earlier LPs were bogged down by swatches of meandering, Genesis-like esoterica, the songs here are extraordinarily melodic and concisely structured, reflecting these musicians’ saturation in American pop since their move to Los Angeles in 1977. 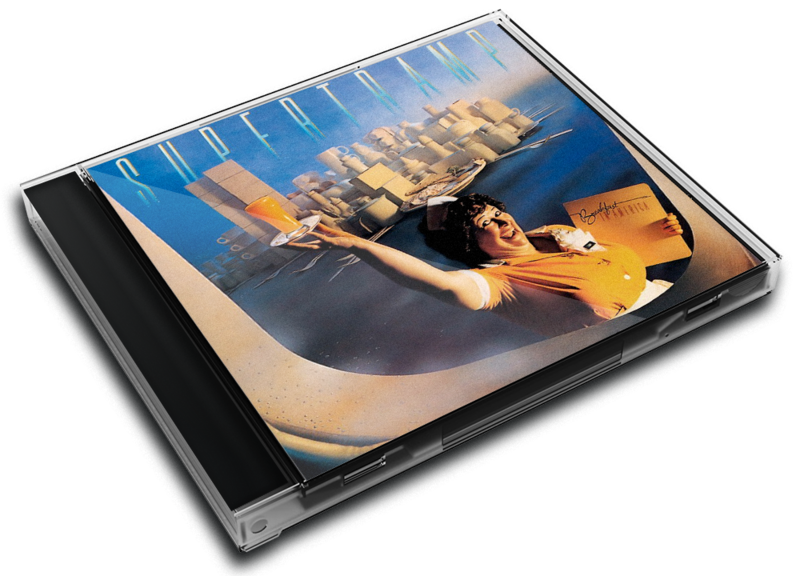 Supertramp’s major problem is an increasing dichotomy between their rhapsodic aural style and a glib, end-of-the-empire pessimism. The music in “Gone Hollywood” is so suffused with romantic excitement that it’s difficult to believe the ennui the lyrics claim: “So many creeps in Hollywood/…Ain’t nothin’ new in my life today.” Though laced with nice, Beach Boys-style falsettos, “Goodbye Stranger,” an uncharacteristically happy fantasy about endless one-night stands, seems far more honest. But the only cut that really wrestles the dichotomy is “The Logical Song.” In this small masterpiece, singer Roger Hodgson enacts an Everyman who excoriates an education that preaches categorical jargon instead of knowledge and sensitivity. “And they showed me a world where I could be so dependable, clinical, intellectual, cynical,” he declaims, reeling off three- and four-syllable assonances with a schoolboy’s tongue in cheek worthy of Ray Davies and the Kinks. Flamenco flourishes and a hot sax break help deflate the tune’s self-pity with a wonderfully wry humor. The next “logical” thing for these guys to do with their awesome technique is to turn it more toward this sort of ironic drollery. Then Supertramp might become not only the best-sounding art-rock band in existence, but one of the most interesting.